This really is a superior product. 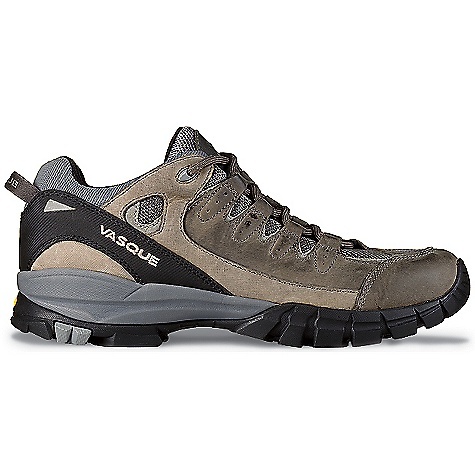 A bit pricey compared to other trail/street crossover trail shoes, but I think they are worth the slightly higher cost. Mine have held up surprisingly well. The soles on mine are now worn out, but this is after a couple of years of steady use. If you are a comparison shopper, and can't decide between the Vasques and another brand, consider going with the Vasques. May be too wide for you if you have narrow feet, but all crossover hikers seem to have this problem. 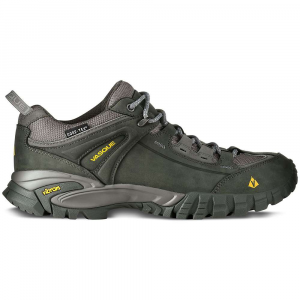 There are lots of crossover hikers/street shoes on the market. 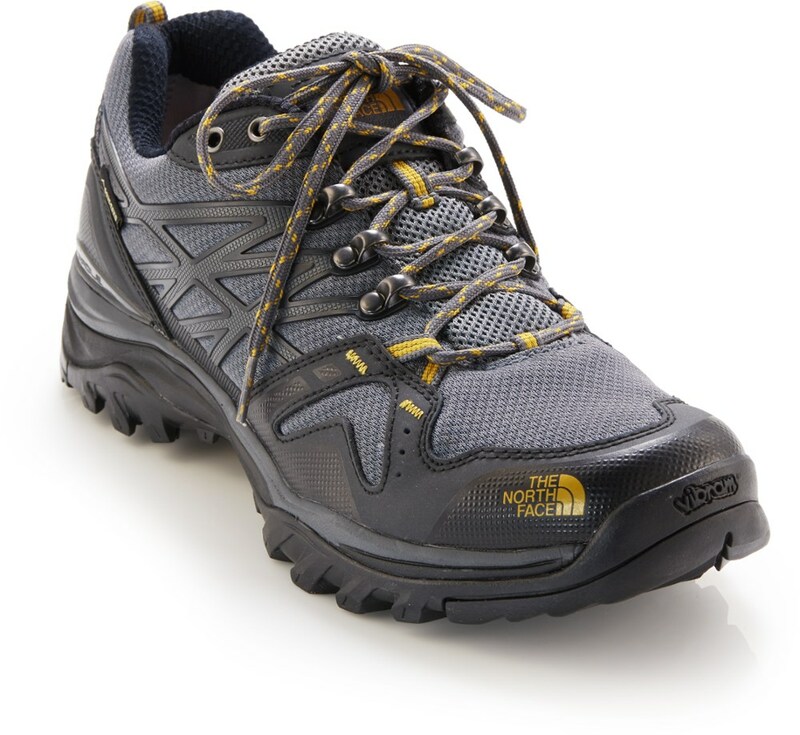 I consider the men's Mantra 2.0 hiking shoe a superior product. How so you ask? They hold up. I have been wearing mine for two to three years now and they are still in decent shape. The soles are smooth now, but still functional. The laces that came with them are tough as well; I am still using them as well. The ankle support is also good. They come with pull-on loops on the heels which can come in handy. I notice a lot of street/hill hikers have the toes wear out before other sections on the shoe. This part of the shoes I own have held up with no problem. This is probably because most of this shoe is real leather as opposed to the cheap mesh type of fabric that so commonly used instead of leather. There a couple of mesh sections, but they are small and are not in high wear areas. I am thinking about purchasing a new pair of these, because the first pair have held up so well. Oh, and they are comfortable. They are not eternally indestructible, but I can recommend them. If you are debating different brands and models, make sure you look at these before buying. Try them on and see how they compare to the other offerings out there. Welcome to Trailspace, Arak! Thanks for sharing a review of your Mantras. How many miles do you think they have on them? I'd love to see some pictures of your pair in your review, to show others how well they have worn. I've had this shoe about 6 months. It's been 4 stars so far. I've had this shoe for about 6 months now and I have to say I'm impressed. They replaced a pair of the Patagonia Drifter A/C's. They seem studier and lighter than the Patagoinias. The Vibram sole has worn well so far. The Gore-tex is great for keeping your toes dry when walking through wet grass, but it's a low top, so submersion is always an issue. I like to keep my laces on the snug side, my concern is that while they've held up well, the ultimate failure of this shoe will be the lacing system. The leather "loop" has already "conformed" to my laces and it will not surprise me the day they break loose. These are highly comfortable shoes with both an excellent footbed and sole. 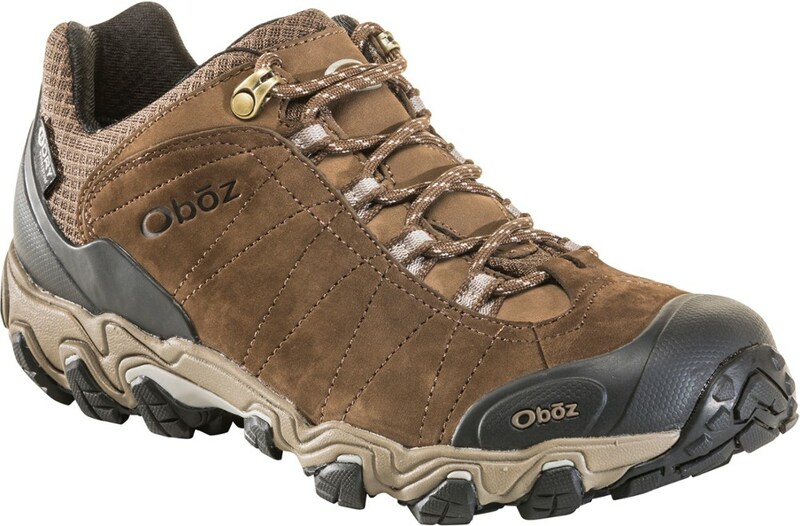 I would definitely recommend this shoe for a variety of dry or damp, though not wet outright, terrains. Good fit; I tend to be borderline wide width and erred on the side of regular, so those with narrow feet should perhaps be wary. 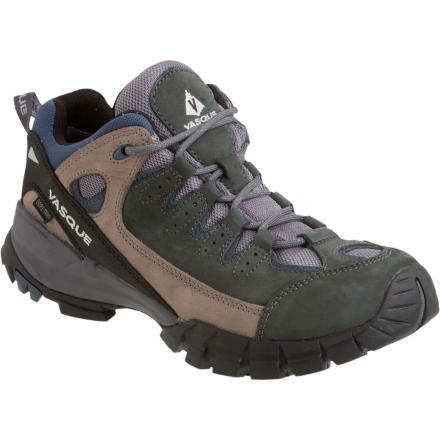 I've always worn boots and was concerned that a low-rise hiking shoe could be the worst of both worlds -- greater weight with less support -- but after having logged a number of miles over diverse terrain I nearly couldn't be happier with these. 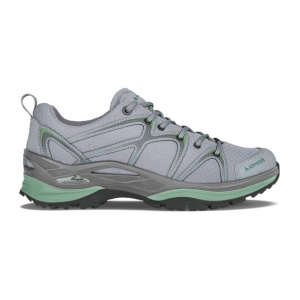 My feet don't shift even on sharp downslopes, there is generous room to keep my toes from getting jammed, and the soles have an excellent enough grip so as to feel stable on all manner of roots and rocks, leaving me not missing the ankle support at all. My only complaint is that water seeps in pretty fast, even when just taking a quick detour through a dew-covered field. When/if I replace them I will probably go with the GTX upgrade, but otherwise I am definitely a convert to this brand/shoe. Comfortable, stable, cushiony, good fit, light. I can wear these shoes for miles and days. They're very light on your feet, pillowy bottoms, and stable with 30+ lbs on your back on the loose, rocky NJ/NY terrain. I have really narrow heels and I would like that second lace hole at the top to get them super-snug. My feet don't sweat at all, and they stay very dry (until you get the lace part wet, but even then, not bad). Trusting my feet to walk on anything and everything is fantastic. The soles are bouncy and the toe bed is a good size (Keens being too wide and Merrells being just too small on me).